L.A.’s housing market is shrinking—at least while Derek Diedricksen is in town. The host of HGTV ’s Tiny House Builders led what he called an “eclectic as hell” event at the Craft & Folk Art Museum (February 3-5), during which 40 ticket holders of all skill levels forged a miniature dwelling. The result—a portable ten-by-seven-foot cabin—will be publicly raffled off on March 18, meaning you (yes, you) have a chance to take it home. 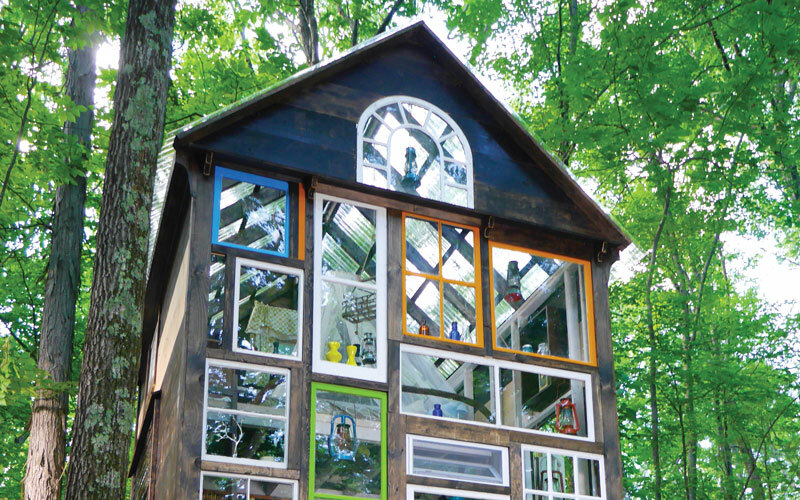 Many of Diedricksen’s homes are built with materials like salvaged lumber and recycled glass. CAFAM invited Diedricksen to L.A. because of a similar event he’d held at Massachusetts’ Fuller Craft Museum. He’s been staging these roving workshops since 2009 (in Fargo, North Dakota and Sydney, Australia, among other places), but this is his first in L.A.—maybe because we’ve had trouble jibing with alternative living spaces. In 2015, Elvis Summers made three-and-a-half-by-eight-foot houses on wheels that he’d hoped might combat homelessness in South L.A., only to have the city council put the kibosh on the project. His mobile huts weren’t on par with Diedricksen’s fully functional homes, but as a fan of Summers’s, Diedricksen sympathizes with how hard it can be for tiny houses to take root in urban hubs. “There’s a misconception about what they are,” he says. Though you can trace the origins of microdwellings to the yurts of early civilization, Diedricksen says the movement has been amplified into something more materialistic, partly due to TV shows (like his) that have spotlighted it. 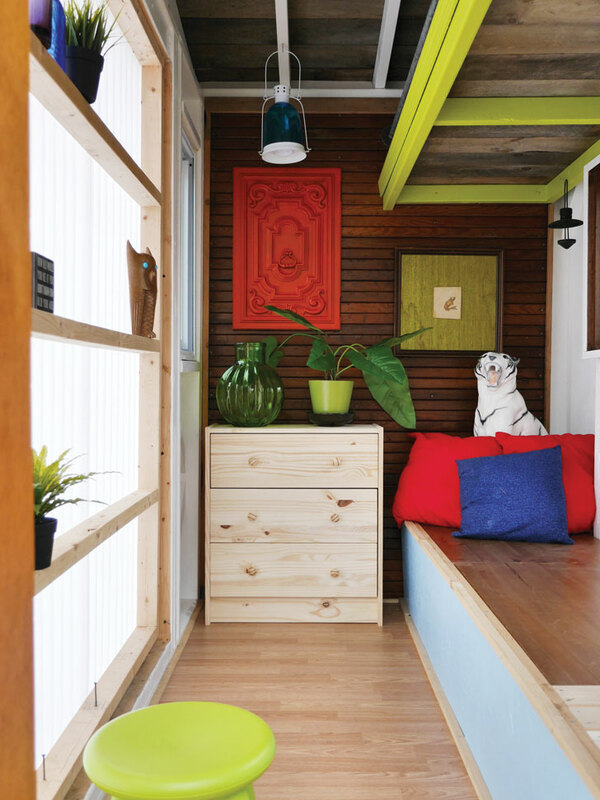 “What I hope to impart is that you don’t need a zillion dollars to build,” he says, “especially if you can work with salvaged and reused materials.” Larger units (typically in the 200-square-foot range) can go for $40,000 or more, but one man featured on Diedricksen’s “Relax Shacks” YouTube channel built a 14-foot vacation cabin out of pallet wood for $1,200. 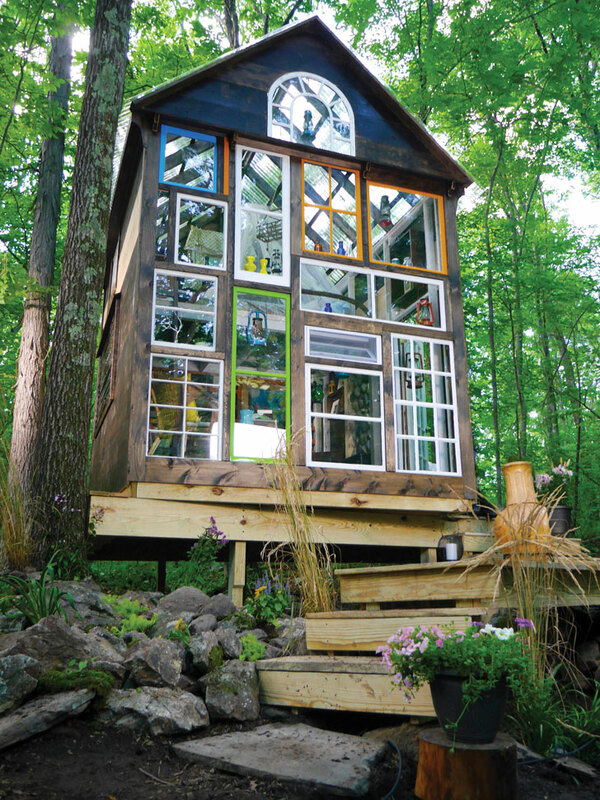 Diedricksen’s CAFAM build will yield something closer to a backyard art studio, modern shed, or in-law apartment—that is, more of a starter kit than a permanent structure. But in a city where bigger is often lauded as better, even a part-time home can exalt the virtues of scaling back.